If you’re looking to rent your property, a real estate agent who specialises in rentals (also known as a property manager) will oversee the rental of your property in exchange for a property management commission fee. (If you’d like to compare property management fees and other information including marketing fees, property management history and independent homeowner reviews, you can click below to use LocalAgentFinder’s free agent comparison service). If you’re after information on selling property instead, you can visit our real estate agent fees and commission guide. What’s the “average” property management commission rate? Commission levels vary from state to state, and can range between 5% and 15%. What you actually end up paying will depend on your property, the local market and the types of services you select. It’s also important to note that you’ll also pay GST on property management fees, so be sure to double check that the proposed fee is inclusive of GST before you select a property manager. A lot of agencies will charge additional fees on top of management fees, so it’s important to check the finer details when you’re selecting a property manager so you can identify any hidden costs. A fee closer to 5% could mean you’re paying for management fees only, whereas an ‘all-inclusive’ fee could cost you up to 15% of your weekly rental income. You can compare property managers including their fees here. What are the types of property management fees? A letting fee is the fee charged by a property manager for their services involved in sourcing a new tenant for a vacant property. This involves conducting private inspections and open inspections to find a suitable tenant, performing rental checks on applications received, drawing up legal documents, collecting the bond and lodging it with RTVB. It also covers the services of completing a condition report on the investment property. This is the fee for internet marketing on real estate listing websites and a ‘for lease’ sign board to secure new tenants. It may also include a professional photography fee. Generally, tenants sign a one year lease agreement. At the end of the lease period, if you want to expand this contract, the property manager will charge a fee to sign the existing tenant onto a fixed-term agreement. This fee is often charged as a percentage of the annual rental return. As a part of the agreement, the property manager may inspect your rental property on a regular basis to check on the condition of your property, and therefore charge a service fee. The fee charged to obtain your annual summary statement covering the last financial year. In the rare occurrence that you need to take a tenant to court, you may incur service fees including court preparation and travel costs. This is usually based on an hourly rate. How are property management fees charged? Most property management fees are charged as a percentage of the gross weekly rental amount. Generally, the lower the commission fee percentage charged by your property manager, the fewer services likely to be included. That’s why it’s important to ask your property manager for a breakdown of fees before you sign them on. But keep in mind, this isn’t the only fee you’ll pay. A Property Manager will provide you with a comprehensive management of your property – not just rental collection. For an overview of the services they will provide you with and other potential fees you may incur, visit our article here. Property management agencies can charge a flat-fee rather than percentage-based management fees. There are also some companies that charge a flat-fee for ‘all-inclusive’ property management services. This means all fees are rolled into one management fee. However, some of these services often don’t provide the same level of accessibility and may not allow for a personalised service and local expertise. As a landlord, you can cut costs by managing your property yourself as you don’t need to pay management fees. However, if you lead a busy lifestyle, and don’t reside close to your investment property, hiring a property manager can end up freeing up your time and the reduce the stress that comes with owning and investment property. Property managers are trained for the job, and look after landlords, tenants and investment properties on a daily basis. They have connections with local tradespeople, and are experienced with all regular administration and documentation that needs to be dealt with. DIY property management can be a great money saver if you’ve got the time to spare. However, you may not have the same level of expertise or network of useful contacts as a property manager to manage your property efficiently, and emotional involvement can be a risk. If you don’t have the time and patience to deal with any delayed or missed rent payments, complaints from neighbours and any damage to your property, the safe option would be to hire a property manager who can deal with these issues for you. 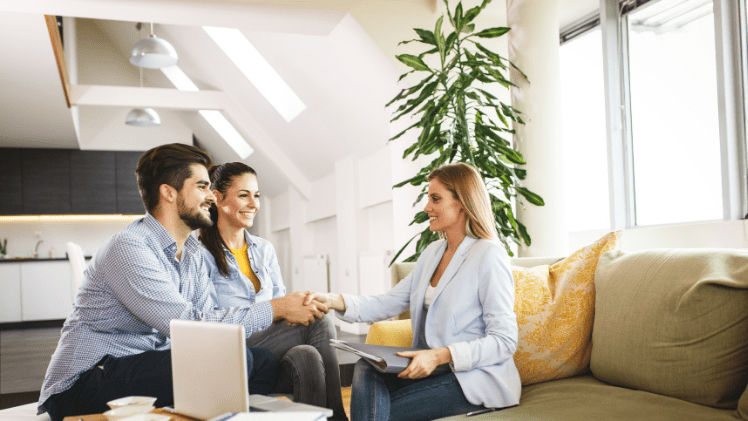 A survey of investors by Woolcott Research found that two out of five self-managing landlords interviewed had experienced tenants defaulting on rent. It also found that landlords who used property managers to manage their relationships with tenants faced fewer problems. How many years’ experience do they have in the industry? What is their screening process? How often do they generally contact landlords? How do you handle repair requests? How do you handle a tenant who doesn’t pay rent on time? If you feel as though your current property manager isn’t meeting your expectations, there’s no harm in looking at your options. If you’d like to compare property managers including marketing fees and property management history, you can compare at LocalAgentFinder.com.au, and find the right property manager for your rental property. What do they charge in my area? Find the right property manager here. The easiest way to find out what agents charge in your suburb is to use LocalAgentFinder‘s free agent comparison service to compare local property managers. You can compare commissions, marketing fees, property management history and independent homeowner reviews. You can click here to compare property managers. Previous readingShould I Use A Conveyancer Or Solicitor When Selling My House?